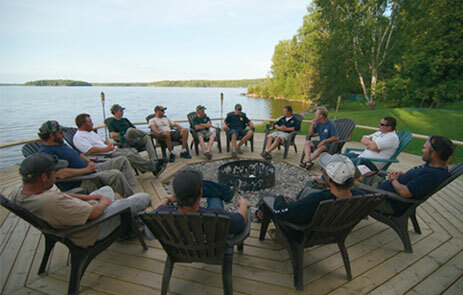 At the end of every fishing day, all guides attend the “Nightly Round Table Meeting.” Each guide takes his turn to recount the story of his day; locations, presentations, depths, patterns, what worked, what didn’t, and most importantly, what he learned. Toward the end of the meeting, we open up discussion to identify trends, patterns, or changes and begin to discuss plans for the new day ahead. The systematic sharing of all information throughout the entire guide staff is the cornerstone of our consistent success and continued improvement as anglers and guides. Every SWWL guide has welcome access to GPS waypoints saved on any Senior guide’s graph – including mine. A point of pride for guides is to be the one that figures out a new pattern or location and brings new information back to be shared with the crew. All SWWL guides believe that “shared information” creates an atmosphere that encourages all guides to learn and improve. When everyone brings information to the table we get exponential results. Most guide crews do not operate this way. SWWL does because that is the only way I’ll have it. As long as I own the lodge, I will be on the water every day working with my guides, sharing information, and learning with the singular focus to make sure that we are doing everything we can to provide an unforgettable fishing experience for all of our guests, again and again! 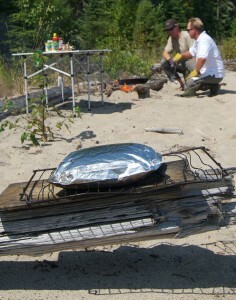 When asked, “What separates Silver Water Wheel Lodge from the competition?” My immediate answer is the guide crew. My mission statement as Guide Staff Manager is to seek out, hire, train, retain, and manage the best guide staff in Northwest Ontario. With well over 100 years of cumulative guiding experience, we work together as a team to ensure that all our boats are on fish and our guests are having fun. Silver Water Wheel guides are professionals. They are not only experienced anglers and dedicated conservationists, but they are also committed to providing excellent customer service. Whether your group is a family with young anglers looking for action and laughs or you are in search of that trophy of a lifetime, the guides will plan the day in accordance with your wishes and expectations. As the owner and operator of SWWL, I still guide every day. I am on the water not only because I love it, but also because I believe that an effective guide staff manager has to be out there with his crew to lead by example and to set the bar high. My educational background is in Fisheries Biology and I have been guiding for more than 2 decades. My guiding philosophies and strategies are grounded in science, data collection, and experimentation, but have equally been shaped by a commitment to quality customer service and a love for the big lakes of northwest Ontario. All SWWL guides are required to collect and record data and information on their “Daily Guide Reports.” Along with group information, weather conditions, surface temps, and general observations, they also record lengths and locations of all walleyes over 18 in., pike over 30 in., and smallmouth bass over 16 in. caught and released by their guests that day. The collection of data on its own encourages systematic and objective observation. Patterns emerge, trends appear, along with questions and new ideas that lead to an experiment, a tweak to a presentation, or to trying a new location. Some ideas work and some don’t, but an aggressive problem solving approach to every guiding day is the key to long term consistent success.